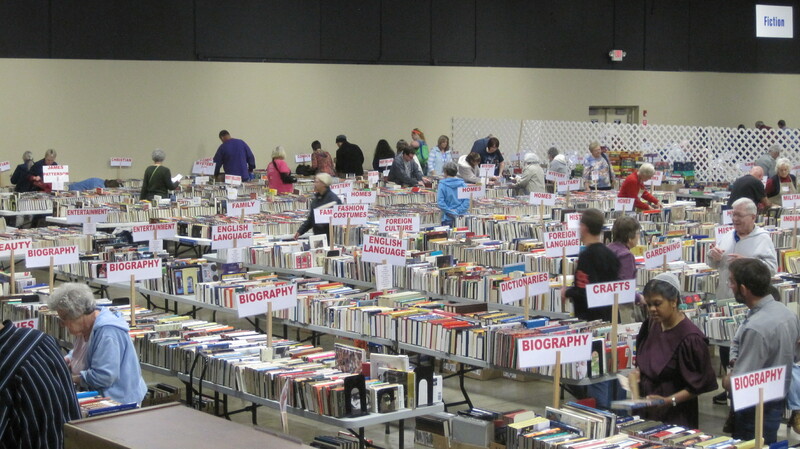 For those of you book, music and movie lovers who are within driving distance of Springfield, be sure you go to the Friends of the Library Book Sale Tuesday-Sunday, April 21-26, at Remington’s, 1655 W. Republic Road. Cash or check only; credit cards are not accepted at this time. Proceeds benefit the ten library branches, programs and the Mobile Library, which was purchased by the Friends for the Library District in spring 2011. Sandy and I went and I brought home quite a haul. For $26 I purchased FOOTPRINTS ON THE ROOF, by Marilyn Singer; MOON, HAVE YOU MET MY MOTHER?, the collected works of Karla Kuskin; THE BEST POEMS OF THE ENGLISH LANGUAGE, edited by Harold Bloom; MRS. COLE ON AN ONION ROLL, by Kalli Dakos; HEROES AND SHE-ROES, by J. Patrick Lewis; RING OF EARTH, by Jane Yolen; BOW BOW MEOW MEOW, by Douglas Florian; ANIMAL TRACKS, by Charles Ghigna; and an Advance uncorrected proof of XANADU 2, selected and edited by Jane Yolen. I picked up a copy of EDGAR ALLAN POE: A GUIDE FOR READERS YOUNG AND OLD, for which I wrote the foreword, but put it down. Now I wish I’d bought it. Is that a haul or what? Sandy picked up five CDs for one dollar each so we’re already enjoying those. Good books for wowzer prices! For those of you close enough to Springfield to take advantage of a truly wonderful event, here’s the scoop from Kathleen O’Dell. Announcing the Friends of the Library Fall Book Sale Oct. 21-26. 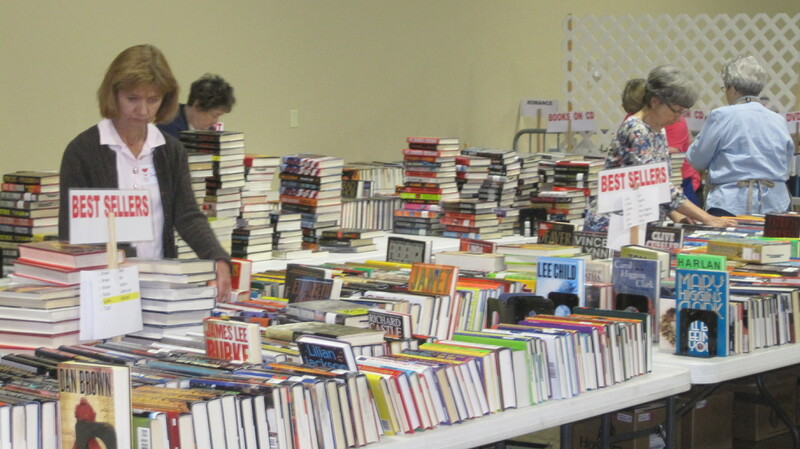 The big book sale (and CDs, DVDs, audiobooks and more!) is Tuesday, Oct. 21, through Sunday, Oct. 26, at Remington’s, 1655 W. Republic Road. For times and details call 417-872-5149 or visit http://thelibrary.org. Adult, young adult and children’s books and most audiovisual items are $1 or less; better books are $2 and up. Cash or check only. 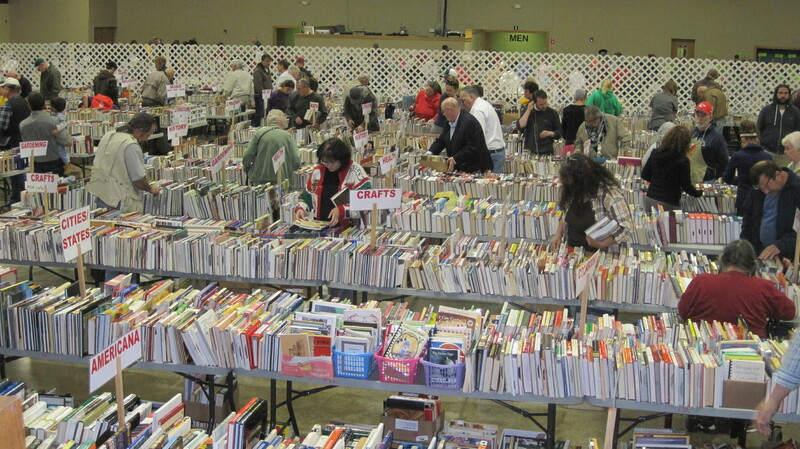 It’s the biggest used and like-new book sale in the region! So, friends and neighbors, bring yourselves and your money and snap up huge bargains at Friends of the Library Fall Book Sale, October 21-26. One year when I walked in, about the first book I found was one of my own. Hmmm. Well of course I bought it!